WOTM Launches New Radio Show! 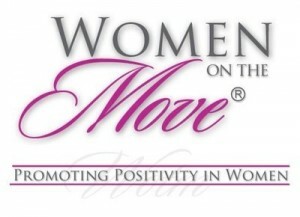 Women On The Move has added a new show to join The Round Table on air! The new show, Let’s Talk Live, will bring people on air that our members, listeners, and the public want to hear from. From politicians, to celebrities, to business men and women making a difference, we want to hear from them live. From everyday men and women with a story to tell, to those unsung heroes that quietly go about making change, we want to hear from them LIVE! Because of the upcoming elections, we have started off with Politicians who want to make politics about the people once again. We are hoping to get communities involved in the governmental process. We want our listeners to vote with purpose. Join us on Let’s Talk Live to hear your candidate for elected office and determine who you will vote for based on position, and not opposition. Vote for someone because you want that person in office based on his/her position, and not all the rhetoric we hear these days on television. We are reaching out to politicians who want to be involved WITH the people and are accessible TO the people. Follow us on twitter, @womenonthemove1 to find out the latest guest who will be talking live with us!